This PL/SQL tutorial will help you learn PL/SQL from scratch to pursue a career as a PL/SQL developer. You will understand the logical blocks in PL/SQL, loops, arrays, strings, conditional statements, PL/SQL packages and subprograms. This tutorial will show you how PL/SQL is the language built for Oracle RDBMS. Learn PL/SQL from Intellipaat PL/SQL training and fast-track your career. In this PL/SQL tutorial you will learn PL/SQL from the basics to get a clear understanding of this top programming language. PL/SQL a procedural language that is combined with the SQL giving it some unique capabilities. PL/SQL along with Java and SQL are the three important programming languages that are embedded into the Oracle database. 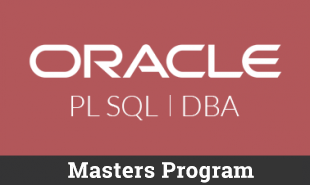 This PL/SQL tutorial will help you work with the Oracle Database and other concepts of RDBMS and help you learn PL/SQL in this context. 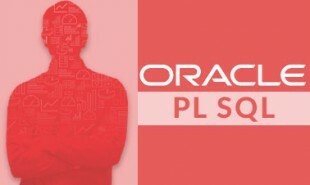 This PL/SQL tutorial is beneficial for software developers, SQL developers, Oracle database administrators & architects, data analysts and data scientists. 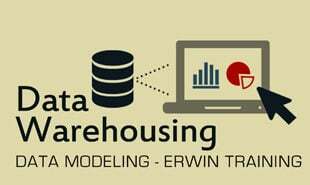 You will learn PL/SQL fundamentals from this tutorial and then you can take your skills to the next level. This PL/SQL tutorial does not expect any prerequisites from the learners. But if you have a basic understanding of databases and SQL then it is beneficial. PL/SQL stands for Procedural Language on Structured Query Language. It is a logical block of programs that can contain a number of sub-blocks. PL/SQL is extensively used with the Oracle database. Thanks to the additional functionalities of PL/SQL, it extends the reach of the Oracle database. Though PL/SQL is closely related to the SQL, it still has some additional features which are not available in the SQL. 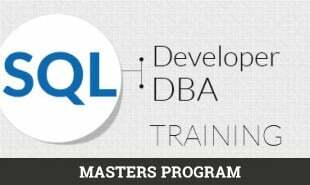 Become PL SQL Certified in 24 hrs. Why is PL/SQL so widely used? PL/SQL is closely associated with the Oracle database and it is custom made to work with the Oracle. Due to this fact, PL/SQL owns a quarter of the market share for programming languages that work with a relational database thanks to the sheer size of the Oracle database in the RDBMS space. PL/SQL takes all that is good with the SQL and makes it even better. This makes managing database tasks, optimizing database performance extremely easy. Since PL/SQL is procedural language it tells how things need to be done rather than just what needs to be done. In this section of the PL/SQL tutorial we will discuss some of the top features of this Procedural languages that extends the features of SQL. It offers a huge set of data types. Here you will learn PL/SQL advantages that make it such a great programming language to work with a relational database like Oracle. Today a database like that of the Oracle drives the entire digital economy. More often than not, nobody knows how they are interacting with an Oracle database when they are accessing online banking, booking an airline ticked, buying products on an ecommerce site and so. All this means that PL/SQL is the language that is powering all these applications and more. The reason PL/SQL is so widely used are because it is much more than SQL. It lets you query, transform and update the data within a database seamlessly. It lets you design and debug thanks to its strong features like encapsulation, exception handling, data hiding and so on. All applications written in PL/SQL are completely portable. It also offers a high level of security and pre-defined SQL packages as well. All these features mean PL/SQL is currently the most popular programming language for working with a database. Why should you learn PL/SQL? If you want to make a career as a database developer, be a data analyst or even a data scientist then you need to learn PL/SQL. It opens a whole new bunch of opportunities for you thanks to the ubiquitous nature of this Procedural Language that is an extension of SQL. Once you get your fundamentals right with this PL/SQL tutorial, you can then go on to learn PL/SQL for masterly in this domain and apply for the best jobs in the industry. "0 Responses on Oracle PL/SQL Tutorial – Learn Oracle PL/SQL from Experts"
Sign Up or Login to view the Free Oracle PL/SQL Tutorial – Learn Oracle PL/SQL from Experts.